Start 2016 in the best way, with our 30 days money back guarantee! CrossFit is "too hectic"..? ;) We know we are good, in fact we believe that we are so good that we will give you your first payment back if we can't make you fitter and healthier. We promise that you will feel and see the effect within just 30 days, and if not we give you your money back if you chose not to continue with us! This time of the year is always exciting at Cape CrossFit, we often get to meet a lot of new people that are super keen to take control of their health through fitness - and most of them then stay with us forever. But don't I have to be really fit to do CrossFit? NO. CrossFit makes you fit. Most of our members had zero background when it came to the stuff they had to do when they started with us and we are REALLY good at adapting each workout to each members current capacity. The first step is to contact us for a FREE of charge Intro session, this intro is part of our Basics Course which we then take all members through. The Basics runs in 4-6 sessions depending on the number of participants and after that you can join the regular classes. We start you off with our Basics Course sessions to slowly condition your body towards what we do in the classes, but mainly also to get to know you as an athlete and to make you feel comfortable in our gyms. We modify anything needed and for many people the first few weeks, or even months, are spent working on technique with PVC-pipes in combination with bodyweight movements. Everyone can do this! 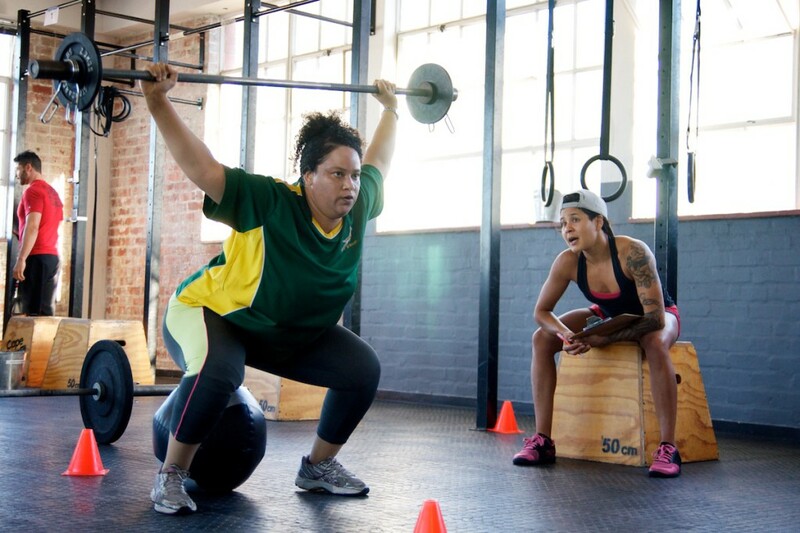 Experience: We are the Original CrossFit in Cape Town and have been around since 2009! Educated coaches: all our coaches have at least a CrossFit Level 2 and several speciality courses under their belt, in combination with all of them being close to or well above 500 coached classes we can easily say that your coaches at CCF know what they are doing. Amazing facilities: Our boxes are more than well equipped with all the standard equipment needed plus a lot of extra details to make your training fun every day, and we know how to use it all. Our Gardens box is the biggest one in Cape Town with it's 1000m2 in total space divided between three workout rooms, and all our boxes have shower facilities and everything you need to feel at home with us. THE COMMUNITY: This is the most important thing. A lot of our members have been with us for years, and some even all the way from the beginning in 2009, and they are all extremely welcoming to new members. 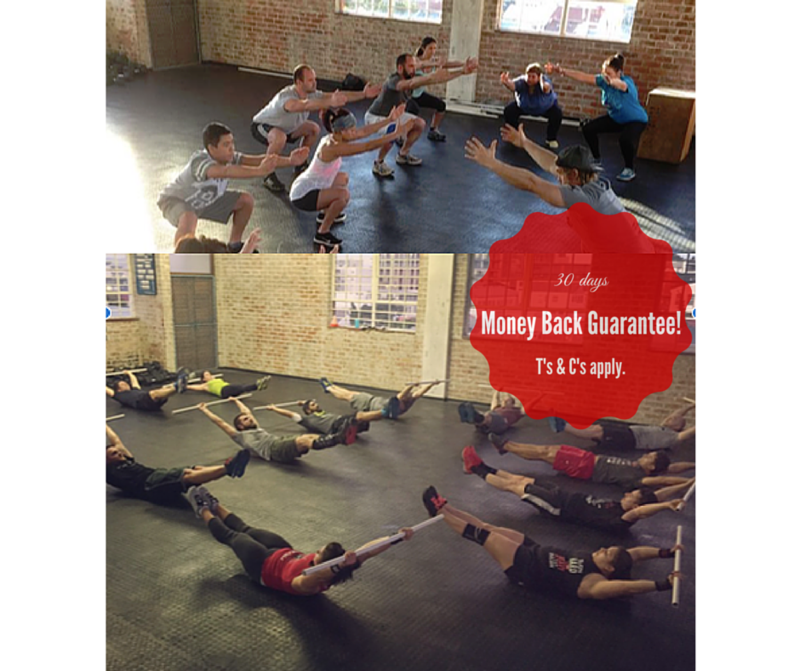 We are growing each year, and with that growth our community seems to just keep on getting stronger - you are always amongst friends at Cape CrossFit, and that definitely helps when the workouts gets tough..
You must become a member before the last of February 2016 for the guarantee to be valid. You must attend all Basics Course sessions and a minimum of 2 regular classes. IF you against the odds do want to cancel all you have to do is send us an email after having fulfilled the above and we will give you any membership payments received back in full. (This cancellation email must be sent within 30 days from when you started). This campaign is not available for current members.